. The experiments are hosted for open access through the main project website http://vlab.co.in. 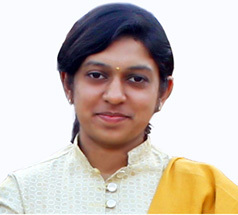 Ms. Silpa Sivan is a Coordinator of Virtual Amrita Laboratories Universalizing Education (VALUE) at Amrita Vidyapeetham University, Amritapuri. VALUE is an initiative of the Ministry of Human Resource Development under the National Mission on Education through ICT.